The household names of Leo Records Frank Gratkowsi (alto sax, clarinets) and Simon Nabatov (piano) have been joined in the studio by Marcus Schmickler (computer). 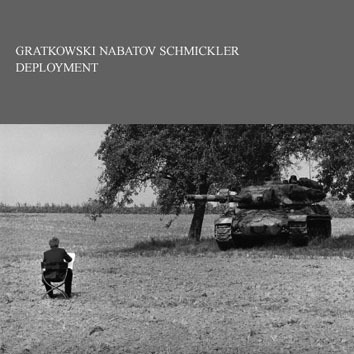 It's not for nothing you see the tank on the front cover, and it's not for nothing the CD is called "Deployment." They start with small sounds (reconnaissance) and finish with a real war (heavy artillery bombardment).